It’s time for another popular subgenre: lesbian foodie romances! 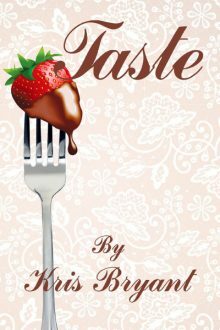 Foodie romance novels—sometimes also called culinary romances—are romance novels in which food and the preparation of food are an integral part of the plot. Usually, at least one of the main characters works in the food business as a chef, a chocolatier, a pastry chef, a bakery owner, a food critic, a restaurant manager, or a caterer. These delicious reads are sure to leave you hungry for more! You don’t need to limit yourself to food-themed books. Think about beverages too! I would count books with characters who work as vintners, brewery owners, baristas, bartenders, or sommeliers as foodie romances too. 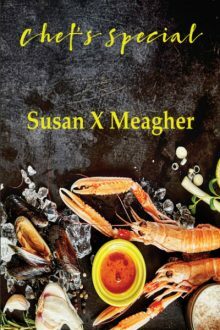 I’ve put together a list of 15 lesbian foodie romances I hope you’ll enjoy. When charming chef Devon and quirky businesswoman Carrie meet, they immediately feel a strange connection. As their friendship progresses, they discover that they have a few quirky things in common—a love of Star Wars, a love of women, and best friends who constantly need them to come to the rescue. What happens when your life takes an unexpected turn? What happens when you need to protect the one you love from the one you want to love? What happens when you lose something you never knew you wanted? 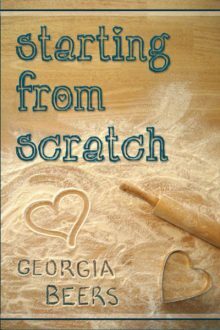 Award-winning author Georgia Beers brings to you her long-awaited seventh novel, Starting from Scratch, a story where learning, laughing, loving, and baked goods are just a few of life’s basic ingredients. Sometimes what you need is right in front of you, all you have to do is open your eyes… Mel Thomas doesn’t realize just how unhappy she is in her marriage until she meets Izzy Calabrese. Will she have the courage to overcome her insecurities and follow her heart? Molly O’Brien is a sweetheart. After losing the love of her life four years prior in a plane crash, Molly thinks she’s ready to navigate the dicey dating waters once again. When Jordan Tuscana, the beautiful younger sister of her lost love, returns to town, Molly finds her interest piqued in a manner she wasn’t prepared for. Accomplished chef Taryn has walked away from her career in the city’s top restaurant to devote her life to her five-year-old daughter and is content until Ki Blake comes along. Ki and Taryn try their best to resist the undeniable chemistry between them. And when at last they begin a passionate affair that must be kept a secret, they are each convinced it’s only a short fling. Have they found something genuine, or is the taste of romance they’ve had truly enough? To accomplished sous chef Lauren Murphy, working as a chef aboard a private yacht is a dream come true. Enter Grey Wells, the owner and captain of the Veritas and the most complicated person Lauren has ever met. Even though Grey is cold and distant one minute and then cautiously friendly the next, Lauren is compelled to get to know her better. What happens when she does, however, is enough to change both of their lives forever. Maya Vaughn, the hottest young pastry chef to emerge from the reality television machine, takes a turn as a judge on the very show that launched her career, expecting to find a nice change of scenery and a little diversion. Shannon Hayes, a late bloomer at forty-two years old, is finally on the precipice of achieving her dreams. She has one shot to prove she can compete with chefs half her age and with much more experience. Jo Rossini teaches cooking classes at The New York Culinary Institute, but is struggling to make ends meet. 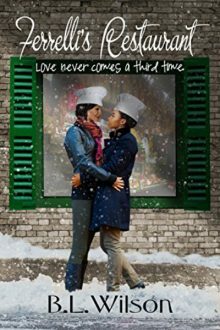 Her heart was shattered with the end of her long-term relationship, but during a Moroccan cooking class, she finds herself attracted to Julianna, one of her students, and must deal with her own weaknesses and past mistakes. 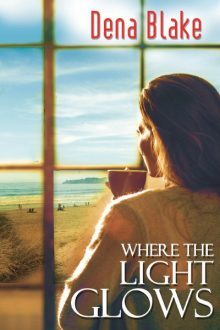 Can Jo find the courage to allow Julianna past her self-imposed boundaries and allow herself to love again? 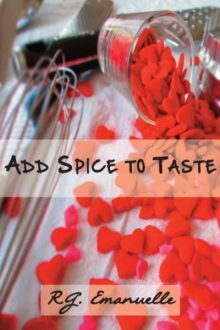 This novella contains original recipe and photos of dishes from Jo’s Moroccan cooking class. Chef R.G. Emanuelle and sous chef Andi Marquette locked themselves in the kitchen to create a menu that would explore the sensuous qualities of food and illustrate how the act of preparing and eating it can engage many more senses than simply taste and smell. They gathered a great group of cooks who put together an array of dishes that we hope will whet your appetite and send you back for seconds. Three women want sugar from Sugar, who can’t make up her mind. Finding Ms. Right is no piece of cake. Emily Desjardins is finally poised at her goal—cooking at the kind of restaurant she’d love to one day own. Blake Chadwick, her new boss, is classically trained, and has stunningly high standards. She’s also demanding, inflexible, ridiculously confident and so hot it’s almost silly. Emily’s challenge will be to keep her mind on the job as Blake pervades her thoughts, her dreams, and eventually, her body. 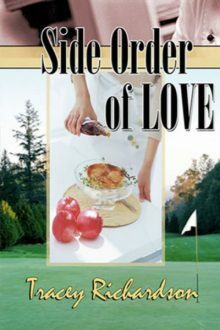 A celebrity chef and a pro golfer possess all the ingredients for a tasty romance, but will it be a forgetful snack or a full course meal to remember? What happens when a woman who never settles for “no” collides with a woman who never settles down? Chef Hal Orion loves life, her food truck, and the city of Buffalo. Investment banker, Quinn Banning has a plan to help make Buffalo great again. Can these two women learn that sometimes the most distinctive ingredients make for the perfect pairing? Love doesn’t always happen overnight. 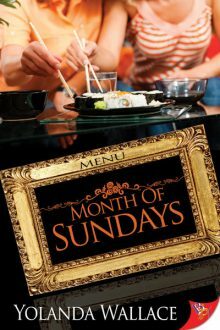 Sometimes it takes a month of Sundays. 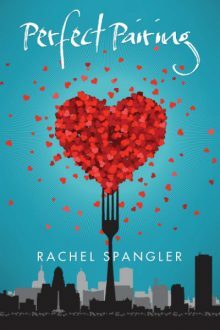 If conservative accountant Rachel Bauer accepts celebrity chef Griffin Sutton’s culinary-themed proposition, will she find more than a good meal? Restaurant owner Maria Ferrelli meets bitter English Lit professor Leah Williams when she sends every course of a 7-course Italian dinner back to the kitchen with very loud, public complaints against the master chef. Eventually, Maria kicks out the professor and bans her from returning to the restaurant. They meet again when Maria returns the wallet and briefcase the professor accidentally leaves behind. If you haven’t done so already, download your bingo card, pick the book you want to devour for the foodie romance square, and start reading! Remember that you can either read one of the 15 books listed above or pick another lesbian foodie romance novel. To be entered into the drawing, leave a comment and let us know which book you’re going to read for the foodie romance square or if you can think of other lesbian books that fit this category. I’ll announce the winners of the three ebooks on Thursday, May 24. 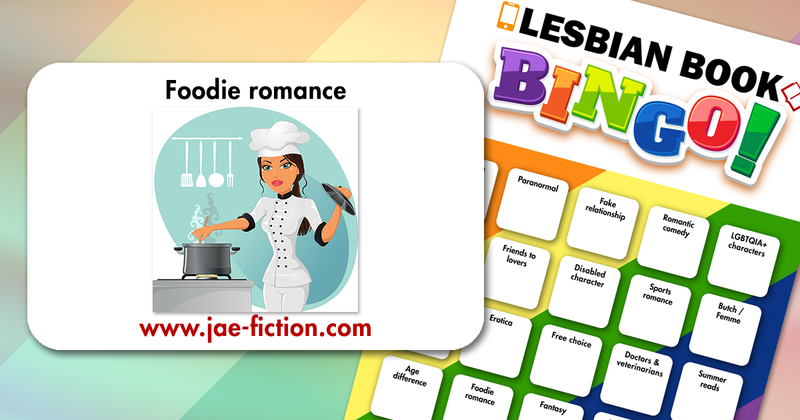 If you’d like to get all future Lesbian Book Bingo posts sent to your in-box, subscribe to my blog. I’ve read at least 5 of these books, with 2 others sounding very familiar. I never knew I was so interested in this category! I don’t even have this block filled on my card because I was waiting for this very post so I’d know for sure what the category means. Starting from Scratch is one of my favorite books – definitely recommend! Lol, I’ve read most of these! So many good ones! And even a couple I haven’t read!! I read Taste, and Blend by Georgia Beers. Starting from Scratch was one of the first lesfic novels I ever read, and it got me hooked! There are so many great options in this list. I like the look of so many of them! I have read both Starting from Scratch which I loved and A month of Sunday’s which I also loved. You all should read Georgia Beera new book Blend. It’s about wine and lesbians and it’s the best thing I’ve read in a while. I highly recommend “Taste” by Kris Bryant. I’ve now listened to the Audible version 3 or 4 times. This go around…I think I’ll try “Ferrelli’s Restaurant” – I like that whole “enemies to lovers” theme. I read Blend and Taste (highly recommended) and just finished Pride and Porters. I recommend this romance – beer brewing, romance, Colorado. I will read Ferrelli’s Restaurant. I love the idea of of these two somehow falling in love. Added a few I haven’t read to my ever growing to read list. Starting from Scratch will be my choice for this square, love that book. Irresistible by Barbara Winkes is really good too! Finished it in one sitting last night! 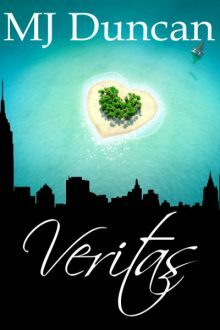 Veritas by MJ Duncan will be my fun pick to read. I like the thought and story pace of the author and love having a new find. Thanks! I love sugar by Karin Kallmaker. I’m going to reread that book for this category, it’s been awhile since I last read it. I highly recommend it. This is one genre that I haven’t gotten into. I’m thinking of trying Side Order of Love by Tracy Richardson since I’ve read other stuff by her and liked it. Food and romance. What could possibly be better? These all sound like good reads, so I don’t know which I will end up with yet. I feel like I gained an extra 10 pounds just reading the yummy titles. I read Georgia Beers’ A Little Spice. Some great books here that I haven’t read yet. So many great books fit under this category! So far, I’ve only read Veritas – it was excellent – I’ve planned on re-reading it, maybe I’ll do so for this. Thanks for Lesbian Book Bingo! Can’t believe I’ve barely read any lesbian books in the foodie romance category. Considering how one of my latest romance reads is a foodie series (Hudson Valley series by Alice Clayton; not a lesbian series, sadly). Considering how many caterers, pastry chefs, personal chefs, and dietitians are in my family. Considering how I once worked for a chocolatier. Major oversight! 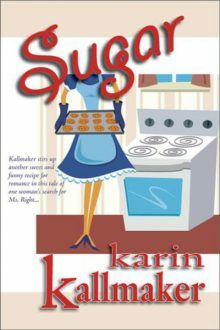 But, I likely will splurge on “Sugar’ by Karin Kallmaker because that’s quite a dilemma to encounter! Veritas was a very good read; love all of M.J. Duncan’s novels. Chef’s Special has my highest possible recommendations!!! Masterful; wanted to read it again right after I finished it, which doesn’t happen much. But I read both of those last year, so will probably read the Melissa Brayden book for BINGO. Chef’s special it will be this time. For this category, I found it hard to pick a book that I hadn’t already read as it is one of my favourite categories. I finally found a gem in Epicurean Delights by Renee Roman. The only one you have on your list that I haven’t read is Ferrelli’s Restaurant, I will be rectifying that tonight. Thanks for the suggestions they reminded me of some great stories and wonderful moments. I read Modern Lovers by Emma Straub for this square, but now I really want to read How Sweet It Is by Melissa Brayden. I’m a foodie myself and read several on this list. I will read perfect pairing from this list. 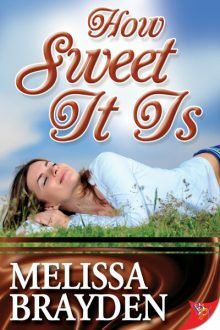 My favorite though, is How Sweet it is by Melissa Brayden!! It’s amazingly good. I’ve read Veritas by MJ Duncan a couple of weeks ago. First Course by J.A. Armstrong and Taste by Kris Bryant on my kindle and will probably read them for this. Chef’s Special!! Yayy foodie romance! I really enjoyed reading First Course by J.A. Armstrong, I listened to the Audio version of Taste by Kris Bryant and How Sweet It Is by Melissa Brayden… both were excellent books. Veritas looks delicious… Will be my next read. I read A Place to Rest by Erin Dutton for my first card. opps that should be Forbidden by Emma Nichlos, sorry Emma, that’s me writing without my glasses! I’ve already read a couple from the list. Loved Starting from scratch! A place to rest by Erin Dutton is also a nice one for this square. I will start this square by reading Chef’s special and Blend (Georgia Beers) and I definitely want to read the First Course series but probably save that for another time. “Epicurean Delights” by Renee Roman hit Kindle Unlimited, so I’m adding that lesbian foodie romance novel book to my TBR list too. Food, theater, mystery… and, of course, lesbians. 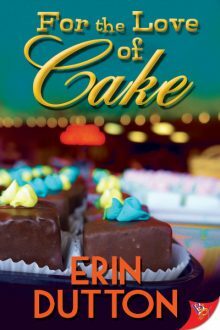 Foodie romance is my favourite, have a read a couple, but next on the list is For the love of cake – Erin Dutton. No danger of indigestion here! I read Sugar for this one and am looking at Dished for my next card. Yea please I haven’t filled this square yet! 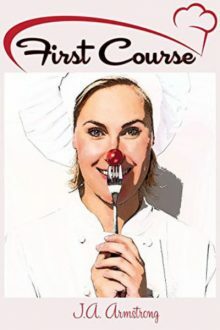 I read First Course (and the rest of the series) and loved it. But there are more I’ve added to my list thanks to this post. I don’t have any of them yet.